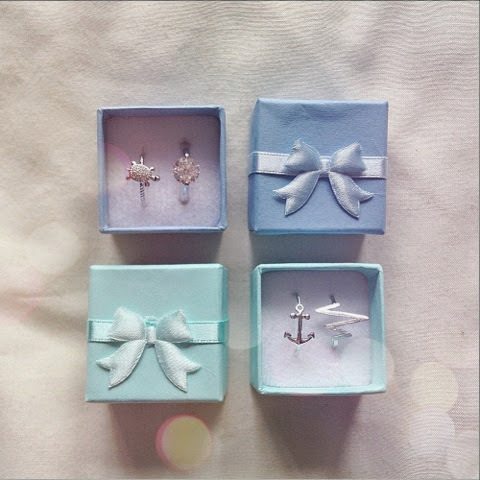 In the post the other day I received these 4 beautiful rings courtesy of Infinitine Jewelry! They sell some of the cutest pieces and I'm so happy with my rings! I cannot get over how much a love my little turtle midi ring, seriously how cute is he?! I love how you can choose different colours and sizes too - that's great! For example, with the little anchor ring, you can choose whether you want it in bronze, silver or gold and then you can choose the size you want so you can guarantee it will fit! They don't just sell rings, they do necklaces, earrings, bracelets etc and the prices are so cheap!